The landlord at my place in SF has instituted a lease and come up with a list of new rules. Rule number one is the best one. 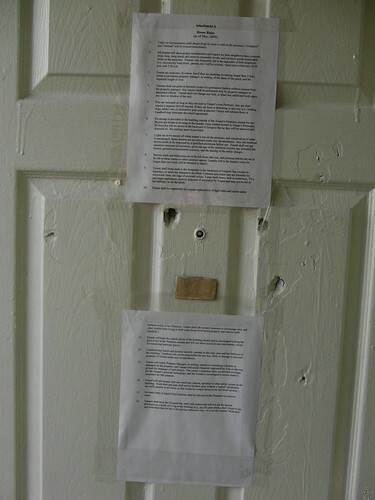 Just to be obnoxious, I affixed the list of rules to the back of the door. Click for the legible version. Many people have been concerned about Naked Baby for the past few years. 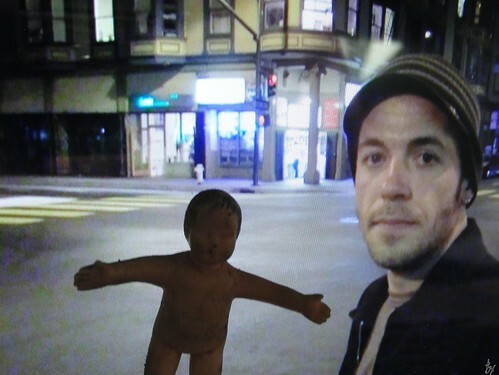 In the interests of quelling this groundswell of discontent, I hve decided to divulge Naked Baby’s whereabouts; Naked Baby is in San Francisco. 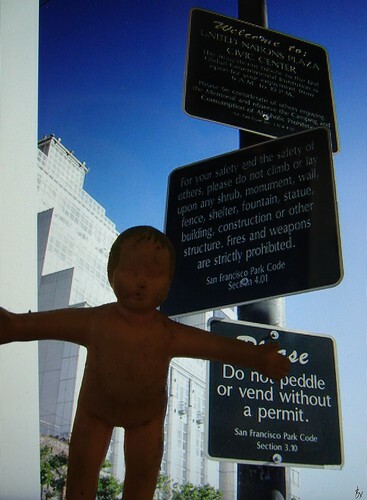 In fact, here are few pictures of Naked Baby in his current home city and environs. 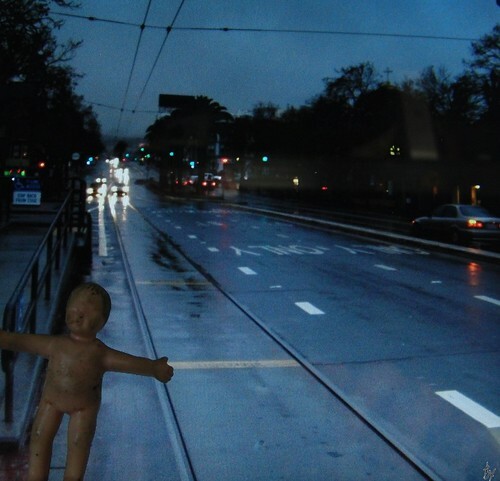 Here is Naked Baby on Market Street, waiting for the ‘F’ car. 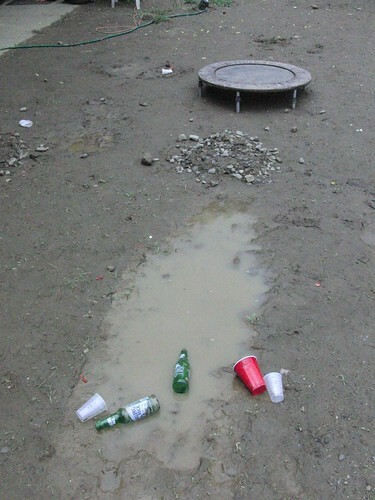 Here he is at the Civic Center plaza. Naked Baby and Adam went to dinner in the Mission. Naked Baby at the Larkspur ferry terminal. 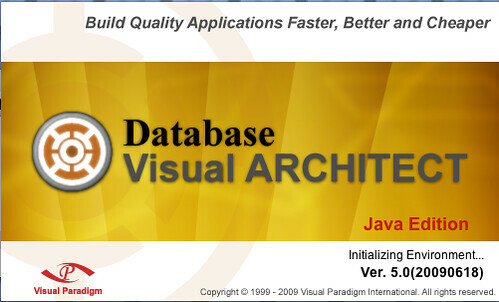 I’ve only found one serious issue so far; a database modeling tool that I use won’t start. 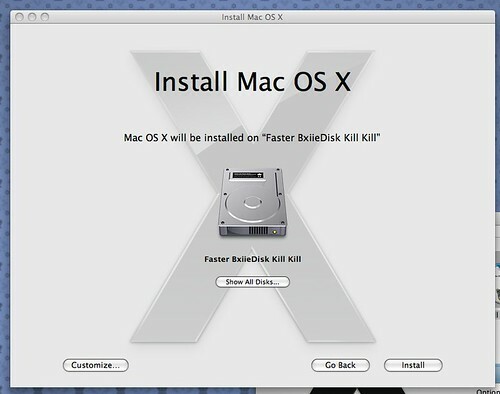 It displays the splash screen and then hangs. I’ve posted on their forum; hopefully they will fix it soon. Conveniently, I did need to make a change to the structure of one of the databases I maintain; I made the change on Friday before upgrading. On the other hand, things do seem to run faster. Well, Gimp starts up slower. Everything else runs faster. UPDATE: Turns out I was running an ‘old’ version of DBVA. I’ve updated to the most recent version and now DBVA loads fine and incredibly quickly. Someone told me yesterday that they called me and that my voicemail box was full. I checked my messages today and found twenty-two new messages from the last six weeks. No missed call notifications, no voicemail notifications, nothing. Apparently this issue is widespread with iPhone users. Why didn’t AT&T notify me that they were having issues?